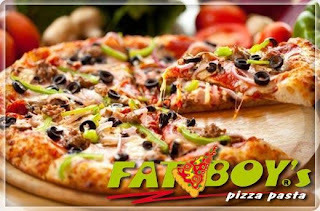 Got another deal and this time it’s from Metro Deal’s promo for Fatboy's Pizza . They offered 50% off the original price so instead of P499 I only paid P250 for 2 delicious and mouthwatering supersize 15-inch Fatboy’s Pizza. I’ve bought 2 vouchers last week but now that it’s still ongoing I’m planning to buy another two. I like buying vouchers from them because they have a branch near our place in Ever Ortigas where I also first tasted and found it. 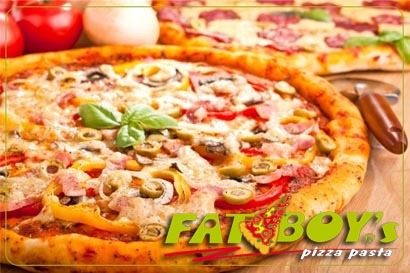 Well anyway these delicious hand-tossed pizzas have unique selections offering Italian and American choices and with 15 branches all over Metro Manila claiming vouchers would never be a problem. For this promo choices include Sweet Corn Pizza (loaded with Sweet Kernel Corn &mozzarella cheese) or Ham and Cheese Pizza (generously topped with Sweet ham & mozzarella cheese). Now when my kids saw my collection of vouchers they got excited. I have Brownies Unlimited and Don Benito’s Cassava Cakes alongside this Fatboy’s Pizza. I really love deals.